​Noel continually surprised me with her generosity. She invited my wife and I to a Superman Returns party, gave me her book, bought me lunch. I’ll never forget when she just out of the blue, gave me the picture featured here. It’ hard for me to think of Noel without thinking of her friend, author Larry Ward. She was lucky to have his friendship. They made a great team. I’m writing about Noel Neill because I thought she was such a special person and I wanted to share a little about why I think she is such an inspirational figure. She was an old school professional. There were celebrities in Metropolis half her age burning out and complaining but Noel would just go on with a big smile. I knew she was tired after three to four hours of meeting people, taking pictures and signing autographs but she would blow it off like it was nothing. During the eight years I worked with Noel, I never saw her charge for an autograph. She didn’t want to. She was there for her fans, and she was kind generous and sweet with all of them. During a time when many stars wanted to separate themselves from the iconic characters that made them famous, Noel embraced her iconic role. She was savvy and created opportunities which allowed her to work on more Superman related projects than any other actor. 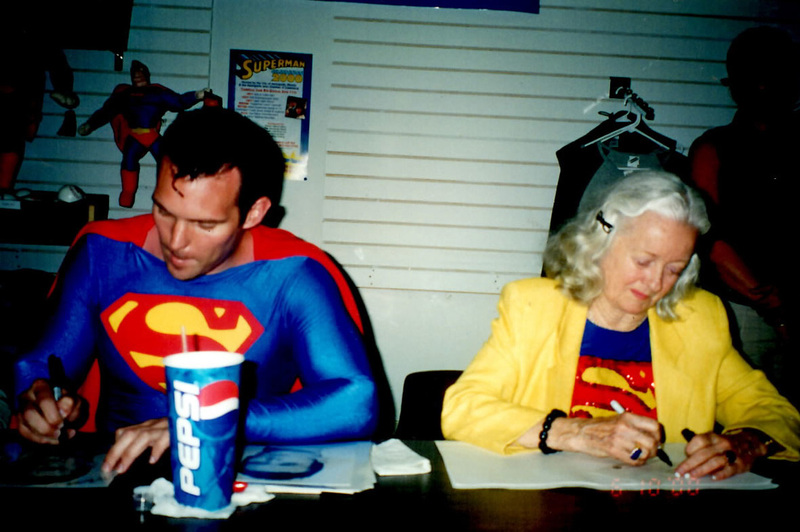 Noel’s Lois Lane on the Adventures of Superman provided a positive role model to young women, when there were not a lot of women in the workplace. She knew how to be aggressive while still being likable and paved the way for many young women. 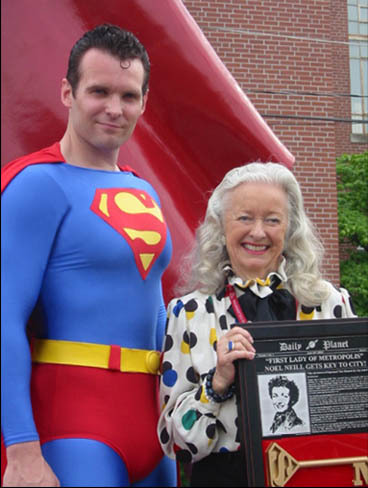 I admired that she believed George Reeves didn’t commit suicide. Although it is not the popular belief, her loyalty was to her friend, and his reputation. Working in the hero business as long as I have, I have had the opportunity to meet many of my heroes. Very rarely did they live up to my expectations. Noel exceeded them. She had a sparkle in her eye and a self assuredness that was truly one of a kind. I will always be grateful to have been her friend.